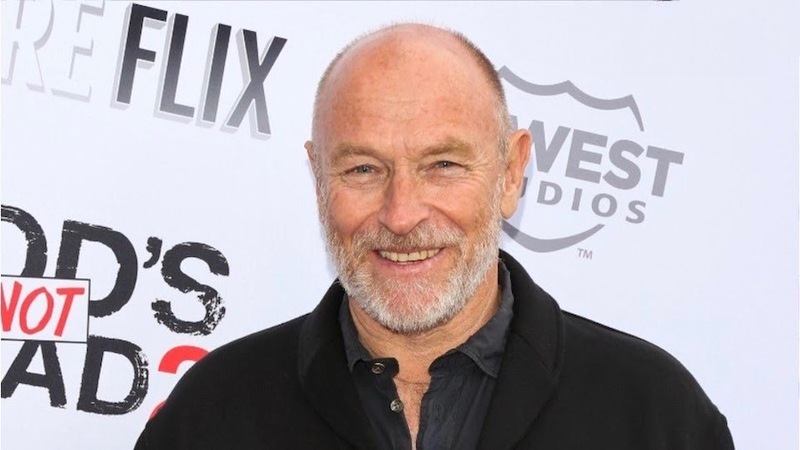 With a Hollywood career spanning decades — including in hit shows L.A. Law and Psych — Corbin Bernsen has recently become an outspoken Christian filmmaker. 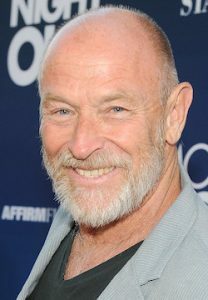 Longtime film and TV star Corbin Bernsen has recently experienced a rediscovery of Christian faith. He stars in the family drama Sunrise in Heaven, releasing to home media on April 9. Whether playing a self-absorbed star outfielder in Major League or L.A. Law’s infamous skirt-chasing lawyer, Hollywood star Corbin Bernsen has a bad boy reputation with audiences. “With God as my witness, I try to create films that are about the discovery and turmoil of life and faith,” he adds. Best known for his recent role as a truth-telling father in comedy hit Psych, Bernsen’s work crosses several film and TV genres. His latest role, in Sunrise in Heaven, shows how a devastating crisis tests the bonds of family. It releases April 9 online and in stores. In a phone interview from Los Angeles, Bernsen spoke about his own faith journey and how he strives to surprise audiences with the stories he tells. It has been lightly edited for clarity. Sunrise in Heaven features a father opposed to his daughter dating a young airman. What personal experiences do you draw on for this role? Corbin Bernsen: I’m a father of four sons. Parents have this incredible responsibility of giving their children the tools to move forward in life. One thing I’ve learned is reflected in this new film. We have these goals, these places we want our children to go and be. Our vision reflects how we did it and who we are. We have to let loose of that. The destination may be the same, but the path there may be different. That’s really what I brought to this. It’s the journey this man must take with his daughter. As a father, he has to let her wander the path of life and trust her progress towards the destination. How does this movie speak to that tension in relationships? Bernsen: In this story, my character makes a wrong assumption. Initially, he says, No way, I’m not having one of these military guys dating you. I was one of these guys! Yet there is a sort of decency, goodness and perhaps faith in the airman desiring to be her suitor. I’m not going to correlate directly that military means faith, but there are elements of service. If you’re in the military, you are serving. We of faith serve God. You expect there is correlation between service and understanding of faith, a common ground between the two. But my character doesn’t see that and there is conflict. There’s a scene of me cleaning a shotgun and talking to the kid, which is kind of a movie dynamic. It’s saying: You better be careful, son! Does that really happen in life? Sure it does, sometimes. But you’ve got to remember we’re making a movie, and it’s got to have drama. People who know you from L.A. Law or Psych may not know of your faith journey. What events presented a turning point in your life? Bernsen: Over the past decade, my faith has been reborn and restructured. Making faith-based films has been the path to rediscovering faith. My father passed away in 2008, and it inspired a film I made called Rust. Those words just came out of my mouth. I wasn’t lying, but it shifted the project from there. During the rest of that filming, miraculous things happened which I’ve spoken of in other interviews. Making this little movie seemed impossible, then anything that I needed seemed to show up. I started to say: OK, I’m going to pray and ask God for it. During that film, I had this incredible sense that I was in God’s jurisdiction. Suddenly, I had no qualms calling myself a Christian filmmaker. At the same time, I knew God wanted me to widen the circle. He instructed me: Bring other people in. Talk about the way you see it, Corbin. Share me with other people, in a way that it is understandable to them. I am skeptical of using the word believer, but this made me believe: Something greater is at play here. Not that I had never acknowledged God, as I grew up in a household of faith. But if you don’t go to the gym often enough, the muscles deflate — which is what had happened. Then with that film, we picked up where we left off. Working in Hollywood with all sorts of people, how do you walk out your faith? You laugh, but oddly enough that’s where people go! Think about certain experiences in life, such as the birth of a child. Without question, God is present in the wonder and awe of that moment. It’s when you go: My goodness, this is miraculous. Despite our differences, there is a goodness and darkness in every man. Good and evil, night and day, Satan and God. Give it all these descriptions, but we’re talking about two warrior figures. And it’s so much more than that. I believe, in the end, the light will always illuminate the dark. It seems the dark has the potential to obliterate the light. But if there’s one single bit of light left, it blasts out the dark. That’s where my faith in God has taken me and what I’ve learned lately. You’ve acted in and produced a dozen faith-based films over the past decade. Are these movies just preaching to the choir? Bernsen: Some are. In the ones I write and direct, people are figuring it out, facing fear, rejection, questioning God and his presence in our lives. Though I have been in a few of them, I try not to make preachy movies. They are support systems for people of faith, though they aren’t going to draw anybody into the faith discussion when they’re too sugarcoated. Yet people do see those films. I wish at times God had told me to follow the faith-based movie formula, because you can make a ton of money preaching to the choir! It’s like these classic bands still touring — they play the old hits and the Bic lighters come out. Everybody loves ‘em. Try a new song and fans are like, Play the hits from ’78, man! Trying to make the movies that I really want to make has been a hard journey. There’s a small film I have coming out called Life with Dog, where I really push it out to the limit. I get to be this character that I want to explore — somebody who really questions faith. The film isn’t wrapped up neatly in the end with a come-to-Jesus scene and everything is good. It will be on PureFlix this spring, and then in Walmart by the middle of the summer. You portray Supreme Court Justice Harry Blackmun in the upcoming release Roe v. Wade. Any update on that project? Bernsen: Because of controversy around the film, I am being a little quiet on it. Some people were led to believe one thing, though I knew what I was getting into. I believe there should be a discussion about this issue. We’re talking about unborn lives. Let’s be really clear: at the end of the day, I don’t think it’s right to take a life. At the same time, there is an empathetic discussion to be had with others about their reasoning. We should understand one another. In understanding and education, we might not find ourselves in a place where we have to make legal decisions. We make human decisions when we are more empathetic to one another. Then maybe people won’t find themselves in that situation as much as in the past. This is something that is deeply spiritual, life-connected and bigger than politics — but it turns into that. 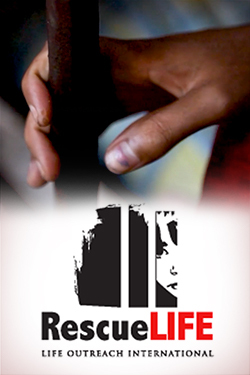 I am still hoping the film emphasizes this as a moral issue rather than becoming a one-sided banner. Because just preaching to the choir is not going to move anybody. Some people of faith dismiss acting and entertainment as frivolous pursuits. Why do you believe your work matters? Bernsen: We see God’s magnificent expression in a sunrise, a flower, the animals of the wild. These are expressions of artistry. As his children, we express his artistry further in our work. Deep inside, artists know where their inspiration comes from. Artistry and magnificence of creativity truly come from God, however people relate to him. Millennia ago, people were writing on cave walls and telling stories. We have the potential to share goodness. There are some voices on Fox News or elsewhere who like to bash Hollywood. But there are a lot of us here who are people of deep spiritual faith! I wholeheartedly reject this anti-artist thing, because acting and films can be expressions of God. As I grapple with this all with my wife, it drives me to be more empathetic towards people. I don’t discount anybody. An artist expresses humanity, good or bad. Often you don’t understand the light if you don’t see the dark. Our culture today is so divided: left and right, believer and nonbeliever. Stories have this unique ability to provide shared understanding of human nature and who we are. It can open a conversation to help make sense of each other. God takes care of the big picture. He has painted a magnificent canvas of greens and blues, sunrises and sunsets. Then he’s left it up to us to tell the story of who we are on a current daily basis. The rejection of that is to reject this incredible gift God has given us to express ourselves. Sunrise in Heaven releases to home media and online on April 9. Hear more from Corbin Bernsen in his NRB talk (below). Explore The Stream’s complete films coverage, and sign up to receive top stories every week.